I have a well system located in Fort Myers Florida 3 bedroom . We have an aerator system but it does little to help. There are no filters after the aereator. There is a bad sulfur rotten egg smell and its worst when we are gone and come back after 2 or 3 weeks. My wife said it turns her jewelry black but no stains on clothes I would like to eliminate the aeration system and shallow well pump and just use the well pump also we have a water softener system . Depending on the water chemistry and size of the aeration tank and air compressor, aerator tanks alone will not effectively remove all odors. Aeration combined with catalytic carbon backwash filter after the aeration tank can be quite effective however. 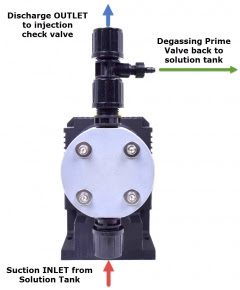 In some cases it is best to inject chlorine or hydrogen peroxide before the aeration tank and then filter with catalytic carbon after the tank to completely eliminate any trace of odors. 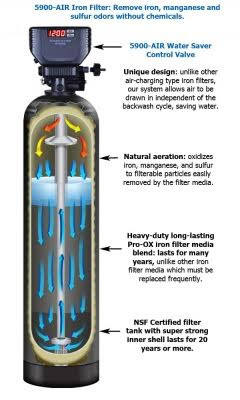 An alternative to the aeration tank is the Air-Charger Catalytic Carbon backwash filter. 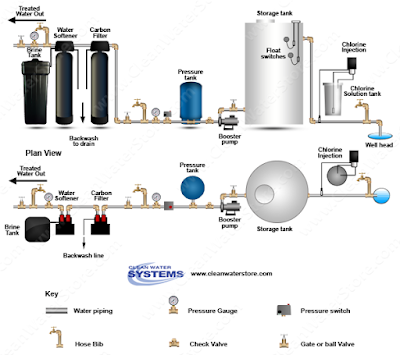 It is a self-contained sulfur filter which uses air injection directly in the filter to oxidize the sulfur out, and then passes the water through a mixed bed of filtration media specifically designed to remove odors from water. This is an automatic backwashing system that rinses out the media once per week, but draws in new fresh air on a nightly basis in order to keep the media clean as well as maintain a head of air for the oxidation and off-gassing of odors. Click here for more info about this product.